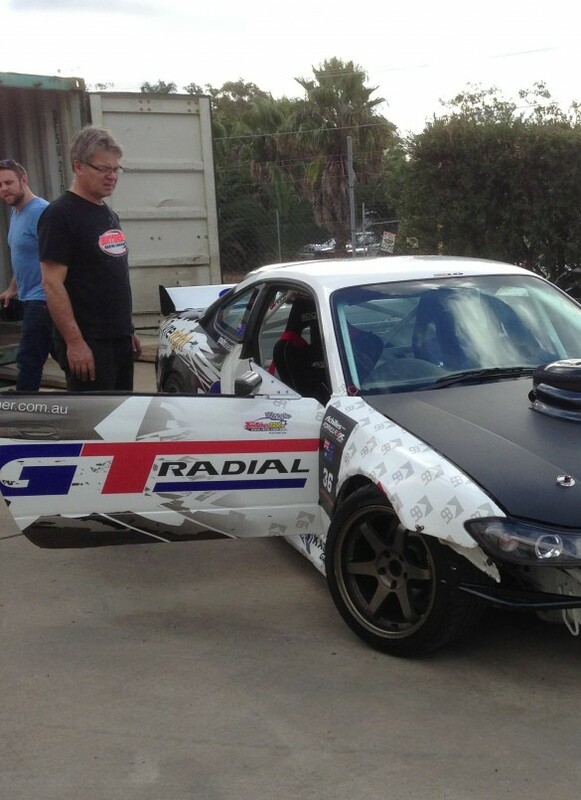 The big V8 is in and the GT Radial S15 is on the way to Malaysia! 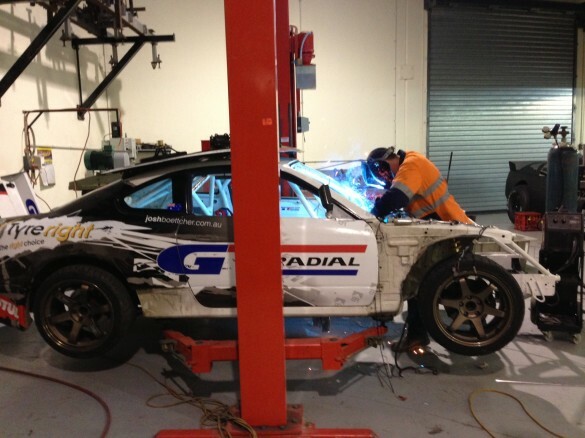 Home » The big V8 is in and the GT Radial S15 is on the way to Malaysia! After 2 weeks of the longest hours most of our crew have ever worked, we completed the mission. On my birthday (July 9th) my good mate Gavin Wood made a call he didn’t enjoy, but had to be done. He gave me some news you just don’t want to find out only 2 weeks before my race car is put in a container to go overseas; your engine is broken. Great present! So after 2 days of evaluating whether we would; repair it, find a quick replacement engine (most likely with less power) or with the help of the family business, Ian Boettcher Race Parts (IBRP), my crew, Trent for TGM Fabrications and pretty much anyone who could, go all out and put a wild V8 in the GT Radial S15! As you can see, we chose the crazy option. 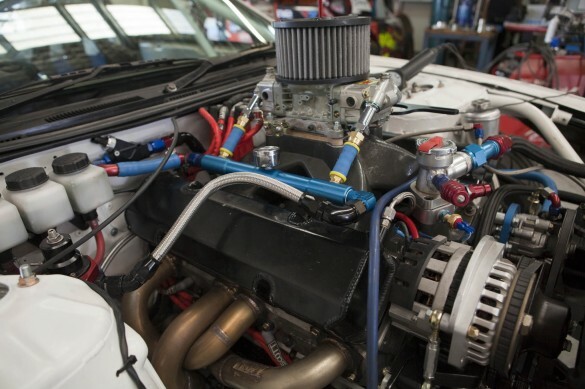 First off, we planned to use a very cool Chevy 358ci NASCAR engine, but it was a steel block and the power was mainly at the higher end of the rev range. So after some thought, my Grandfather (Ian), revealed a beast of a motor that was perfect for what we were trying to acheive. 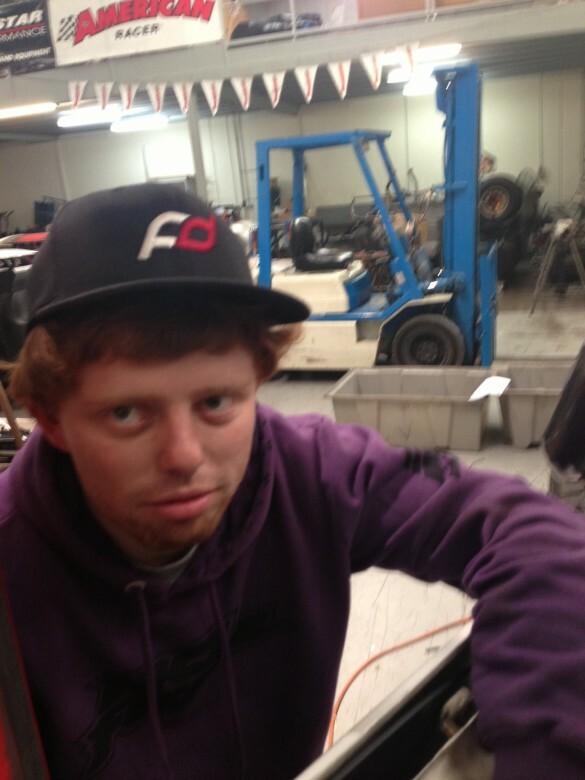 So work started on Thursday 11th and Trent from TGM Fabrications got straight to work. Through the build, Trent spent whatever time was needed on it to get it all together and running in time. His ‘never give up’ work ethic and race car experience really made the whole thing come together not only quickly, but with everything done right the first time. We ended up doing a lot more to the car than we first planned. As usual with custom race car builds, things we thought would work or fit, didn’t and in some cases meant hours of extra work. But we made sure everything was done with the main focus of being reliable, followed by the focusing on best perfomance possible. 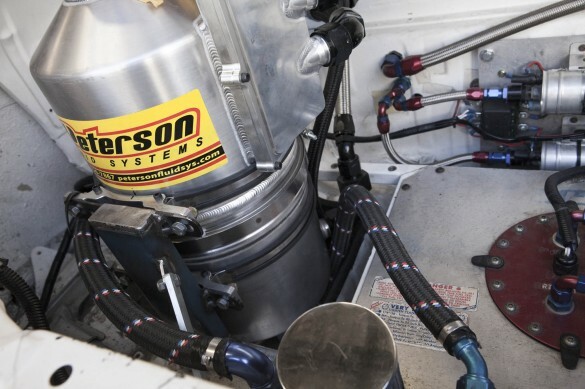 e.g this high capacity Peterson dry sump tank mounted firmly in the boot. The removable tube frame front end that was only recently finished (again by Trent from TGM Fab) made the whole job a lot easier and quicker than having the front reo in the way all the time. The gearbox was supplied at extremely short notice. A massive thank you must go to to Milo from East Coast Traffic Control for that. 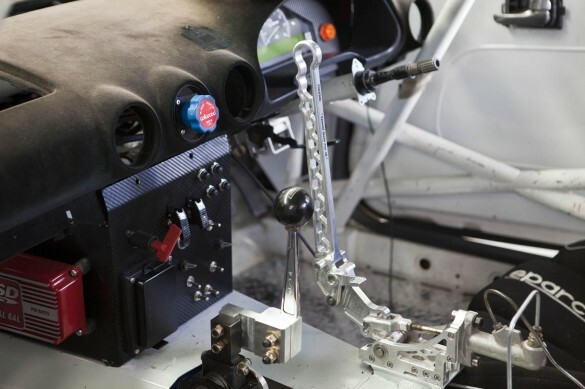 Being designed for a left hand drive car, we needed to move the shifter closer. 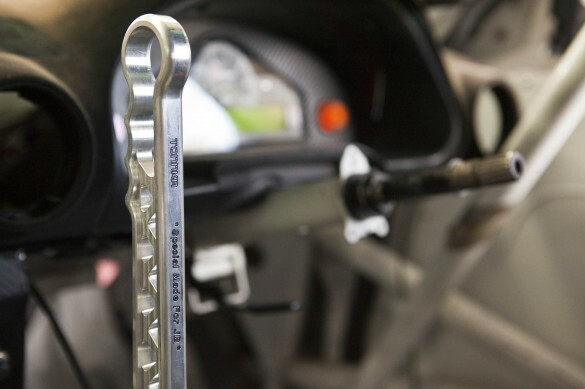 Trent made this cool alloy bracket to put the shifter in just the right spot. Thanks to TONNKA for the ‘Special made for JB’ vertical e-brake! Looks awesome in the car and feels great! We have stuck with the in-line master cylinder for it for now, but when the car comes home from it’s trip we will be setting up a dual caliper system with seperate master cylider and full Wilwood brake system. 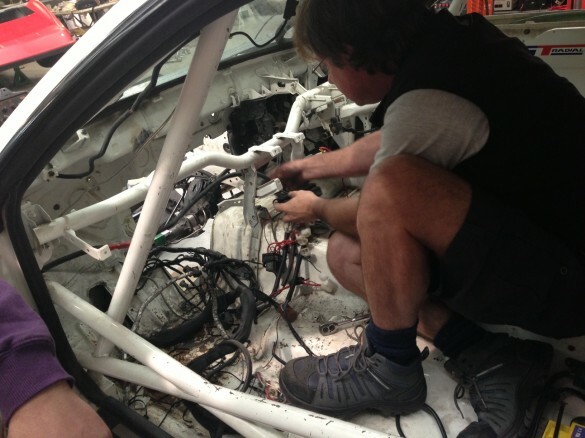 Gavin Wood and I set to work on removing all of the old wiring and setting up a completely new and conveniently limited wiring loom for the car. With the carby setup, we really didn’t need a lot of wiring and were able to keep it very simple and ensure it’s easy to troubleshoot and fix at the track. My family’s business, Ian Boettcher Race Parts, really brought it all together. It’s awesome to have the support and experience of my family behind me. They’ve been racing since well before I was born and there’s no doubt I inherited the passion for motor racing from Dad and the rest of the family. Dad pushed himself the whole time and didn’t stop until the car was buttoned down in the container, and all of that in between running the family’s new car dealership! Thanks Dad! The header pipes were a work of art. 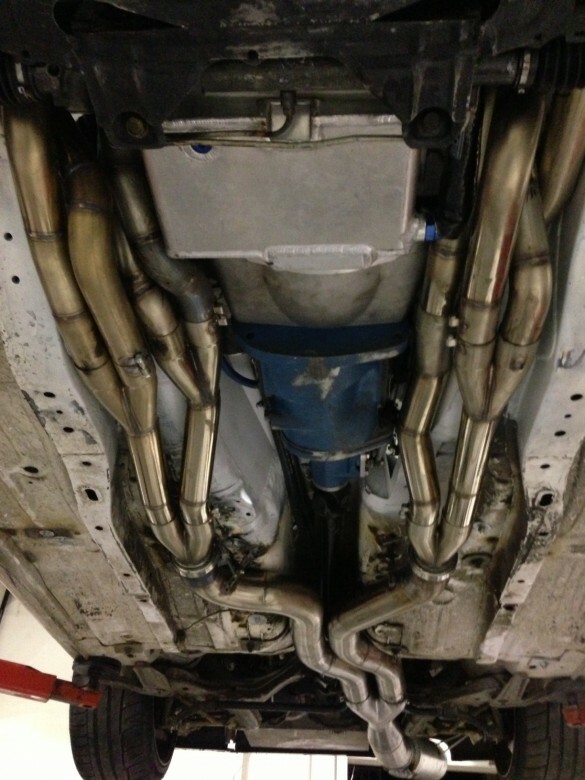 Not an easy task with the limited room, so thanks to Kempy Race Pipes for making it happen! And Justin from IBRP did a great job of finishing it off the job from the 2 x 3.5″ pipes, through to the Y pipe into a 5″ fully open muffler. The car sounds super aggressive and I can’t wait to hear it high in the revs with smoke pouring of the GT Radial SX2s! So after 2 weeks of intense non-stop hard work, we changed the GT Radial S15 from a 500 rwhp SR20 2.2L, to a fire breathing 850hp 434ci race V8, with the direct goal of being able to take on the best in the world. With out any testing with the new engine, it’s not going to be an easy task straight up. 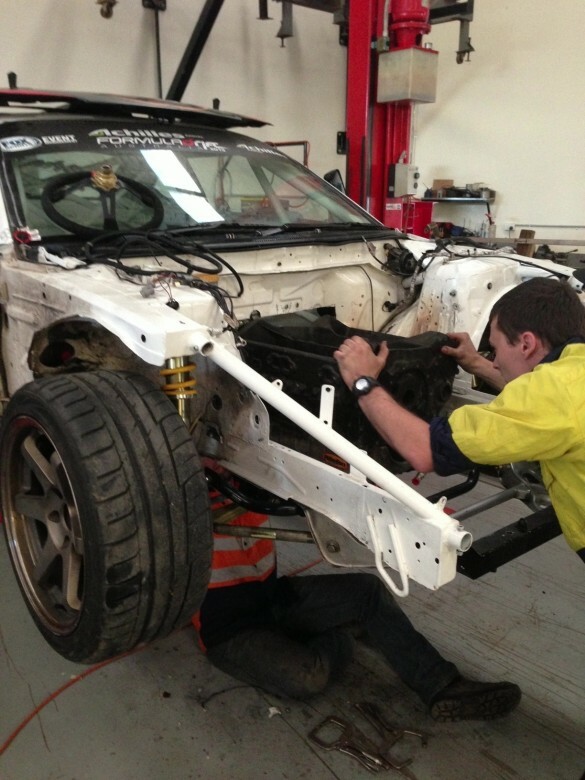 But if the calculations we have done have gone to plan, this will be an awesome drift machine. After a couple events and some seat time. 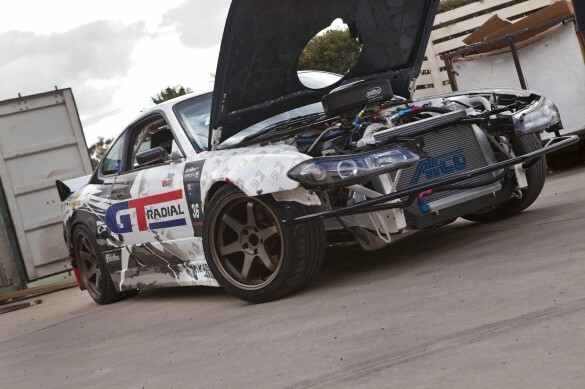 Possibly the most powerful naturally aspirated professional level drift S15 in the world! I want to thank everyone that helped in any way at all, this was a huge team effort and I am so grateful for your time at such short notice and your patience! And I must thank my wife and everyone’s partners for pretty much being without us for 2 weeks! Quite often there were 5 or more people around the car, which can really slow things down, but everyone managed to make things work and keep going. Sometimes even working on ladders while others needed to work underneath the car up on the hoist! So thanks again everyone who came to help, I can’t wait to get this thing on track and show the world what we’ve created! Thanks also to Scott Nelson from TPR Media for grabbing some of these photos (the good ones). 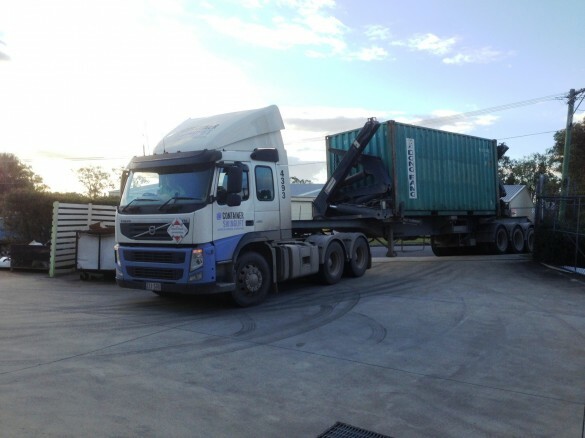 On the 25th July, he came for a photo shoot of the finished product just before we put it in the container, but that didn’t really happen as we were working on it even while the truck was waiting to pick up the loaded container, squeezing every last minute of preperation we could! And then it was on the back of the truck and gone! Round 2 of Formula Drift Malaysia is on the 1st September, so it’s only 2 and a half weeks till we take off. We’re sitting in 3rd place after the first round, so we’ll be aiming even higher this time. And in any case, we’ll be making plenty of noise and smoke! So stay tuned for some awesome videos from Malaysia in a couple weeks!